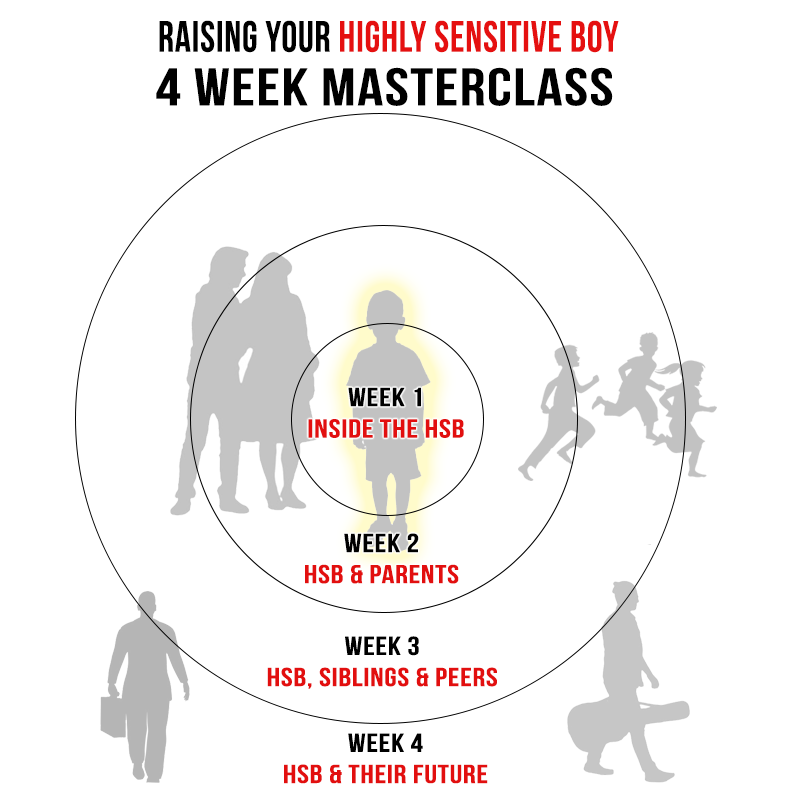 How would you like to get a crash course in raising your gifted and unique HS Boy? This exclusive webinar recording has kindly been made available by HSP expert Dr Ted to the broader public following its 4-week launch in 2017. Join Dr Ted and host David Tensen over 4 x 90 minute videos recorded over a LIVE and INTERACTIVE Webinar with participants from around the world. Topics that cover the lifespan of a boy including parenting, family, school, discipline and career tips. Session Length: Each video Approx. 90 minutes. Extras: Downloadable comprehensive study guide. Instant access to ALL videos and worksheet for min. 12 months. Ted Zeff, Ph.D., received his doctorate in psychology in 1981 from the California Institute of Integral Studies in San Francisco, CA. Dr. Zeff has more than 25 years experience counseling sensitive children and adults. He currently teaches workshops and consults internationally on coping strategies for highly sensitive children and adults. Dr. Zeff is considered one of the world's experts on the trait of high sensitivity. He has given presentations and workshops in Denmark, Norway, The Netherlands and Israel as well as in many venues throughout the United States. Dr. Zeff is the author of The Highly Sensitive Person’s Survival Guide, The Highly Sensitive Person’s Companion, The Strong Sensitive Boy, Raise an Emotionally Healthy Boy and The Power of Sensitivity. Elaine Aron, Ph.D., author of The Highly Sensitive Person, has written the foreward to his books. Dr. Zeff’s books have sold more than 100,000 copies and have been translated into 7 languages. Dr. Zeff has been extensively interviewed about the trait of high sensitivity in the media, such as NBC TV, PBS radio, Psychology Today and the Huffington Post (which received 1.2 million likes).